One of the best phim made by Lp pae himself as the cost of of a Pae Pan Phim Yai is more than 15k SGD, owning the smaller size of the Pae Pan ( kannen) is as good as the Phim yai and its way much more affordable. Why this phim is so good an hard to come by because its an alternative for Pae Pan Somdej and this have been mixed with The famous Ajarn Toh Of Wat Rakang Somdej powder. As a geunine piece of Ajarn Toh Wat Rakang can cost up to Millions of SGD. This Phra somdej kannen is one of the best Somdej made and have been mixed with Luang Phor Pae Nur phong Kesorn 108 which is excellent in metta. Strongly recommended for wearer who wants Smooth sailing in life and strong metta. 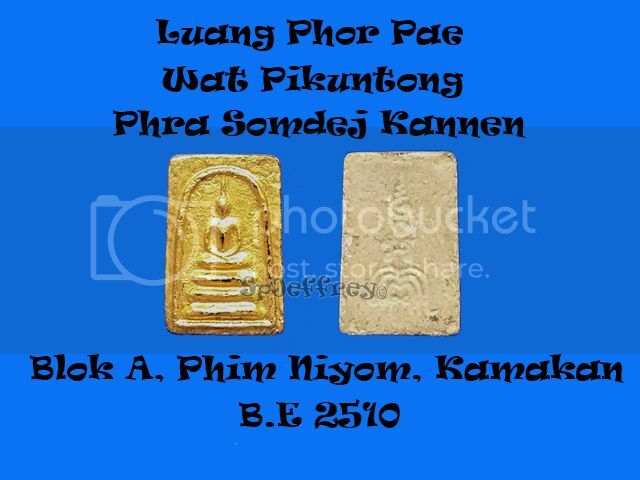 Not to forgot this Phim is consider Phim Niyom ( which is made lesser is quantity) and kamamkan phim which only kamamkan members have their somdej hand paste by Luang Phor with thick layer of gold foil. ( Full gold is hard to come by and rare in the market as collectors are not willing to let go excellent condition of this phim). Rare and hard to come by in the market for such condition. 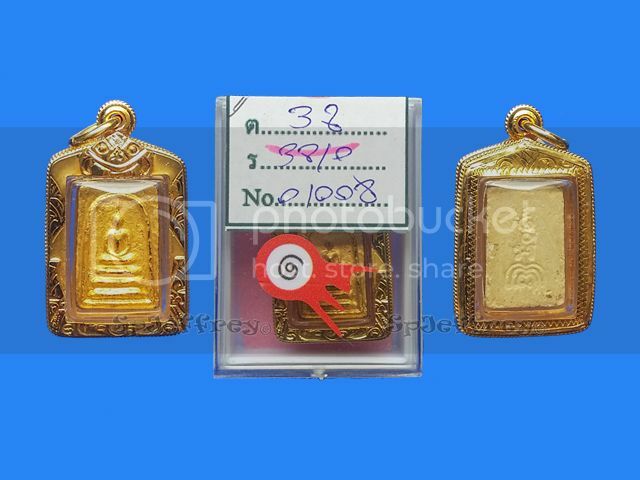 Luang Phor Pae have been blessing believers with great protection, metta and wealth as there is so many stories to be shared around be it hearing from friends are experiencing it myself. One of the pieces not to be missed as it is highly sought throughout south-east Asia. Last edited by spjeffrey; 11-04-2016 at 13:39. Bucha sold! Thanks for your continuous support bro! 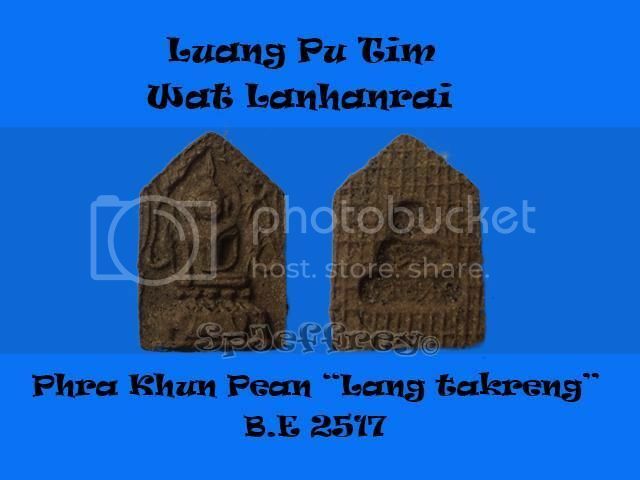 Material of the Khun Pean is very special as many Herbs, gems, givorn(monk's robe), Luang Pu Tim's Hair, famous Pong Plaii Kuman and Pillow of Luang Pu Tim's pillow have been added in. Why pillow? As Lp said that pillow is meant to support one self, hence it holds great meaning in supporting one person life. 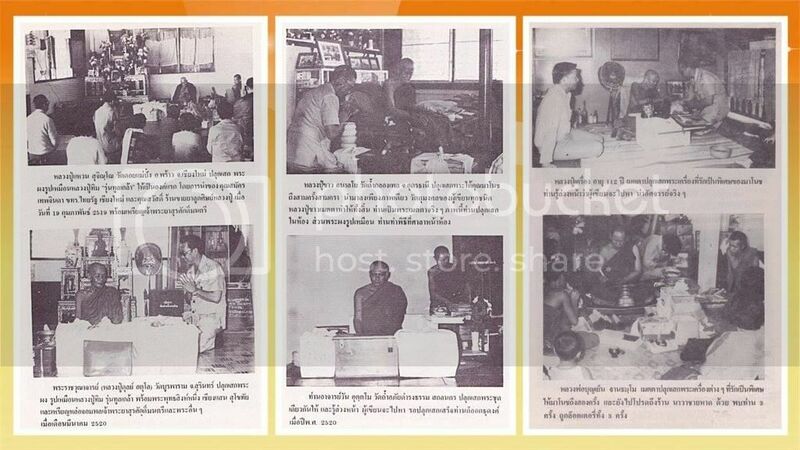 Many Top monk of the era have join into the chanting, for example Luang Pu Toh Wat phradochiplee and many more.. After the mass chanting, Luang Pu Tim took back to the temple to chant for another 9 months before releasing it. 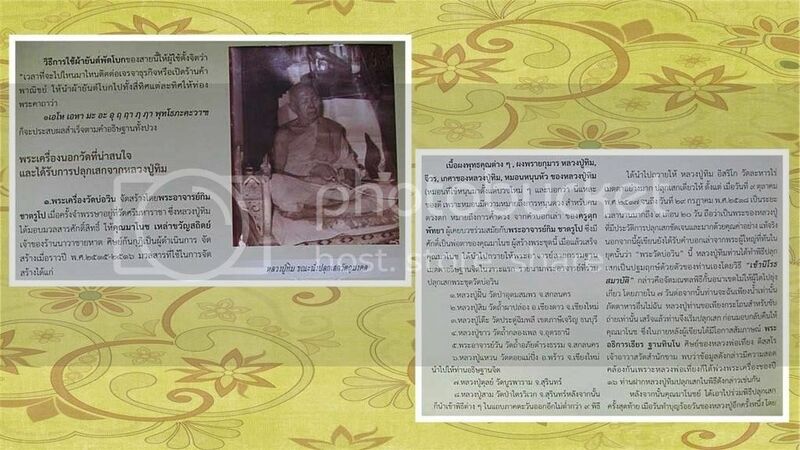 Below are the list of monk that have chanted this Phra Khun pean. 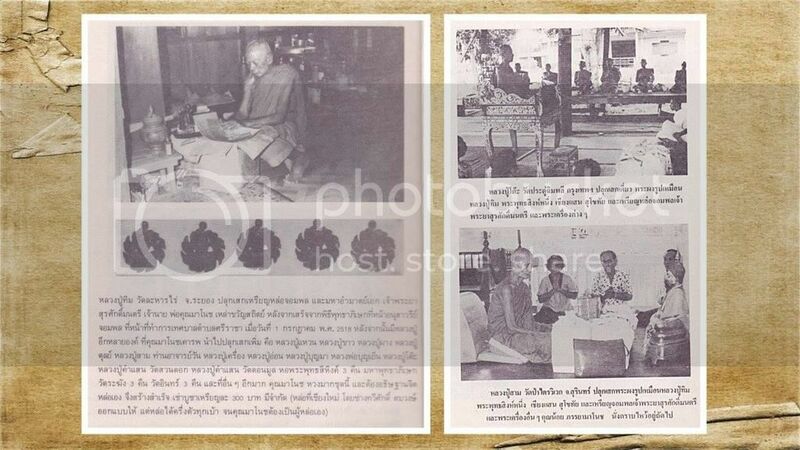 and photos of Luang Pu Tim's chanting and helping to make the amulet. Amulet Sold! Thank for your support ! All Sold, Thank you for your support! Prices have been updated due to wrapping of gold casing and recently won 1st in competition.